The people who work in this school are absolutely brilliant. Every year when we have our Spring Concert I am amazed at what they pull out of these children. This year the show was called Bugz. 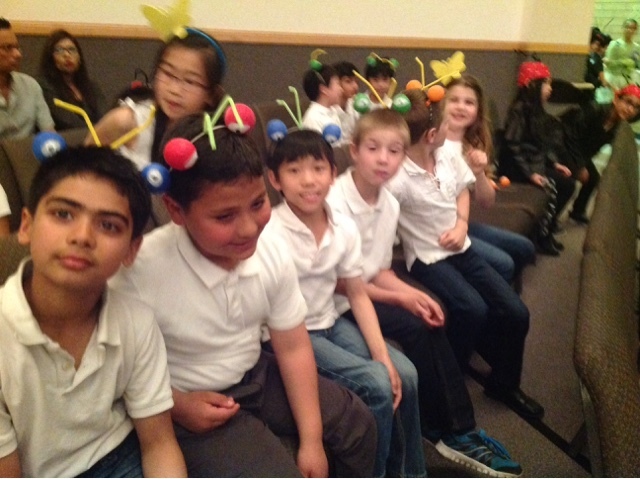 Our grade 3 students sang a beautiful song. It was mellow and lovely. I was so proud of them. They sang beautifully. At the end, everyone joins in the final number, even the children who have gone back to the auditorium seats after performing.